It's ironic that news of the passing of 69-year-old E Street Band saxophoist Clarence Clemons arrived in the midst of rumours of a new Bruce Springsteen album and speculation as to whether it would feature the E Street Band or show new material in a different setting. On the strength of The Ghost of Tom Joad, Devils and Dust and The Seeger Sessions it's possible to imagine Springsteen without the E Street Band, but I find it impossible to imagine the E Street Band without Clarence Clemons. While Clemons had worked in other settings with, among others, Ringo Starr, Jackson Browne, Aretha Franklin and Lady Gaga, it's hard to imagine any of that happening if it hadn't been for a legendary encounter on the Jersey Shore that may or may not have happened quite the way the participants tell it, but if it didn't go down that way it should have. Actually, the way it should have been factor goes well back before thatr. A much younger Clarence allegedly wanted an electric train set for Christmas but his fish merchant father bought him an alto sax and arranged lessons. Forced to practice in the back room of the fish shop while his peers were playing baseball, Clarence wasn't a happy camper but switched to baritone for a stint in his high school's jazz band before his uncle gave him a record by R&B tenor player King Curtis. which didn't quite seal his fate, but was a vital factor in the way things turned out. A music and football scholarship took Clemons to college in Maryland and a sociology major landed him a job in Newark, New Jersey counselling disturbed youths. In the bars and clubs along the Jersey Shore he worked with bands like Norman Seldin and the Joyful Noyze before the dark and stormy night that took him from the Wonder Bar to a place called The Student Prince, where he sat in with a scrawny kid called Bruce Springsteen on Spirit in the Night. Whether the door actually blew off the club that night doesn't matter. If it didn't, it should have. Anyone familiar the gatefold sleeves of the first two Springsteen albums, densely packed with lyrics in fine print can't help noticing the trimming down that occurred on Born to Run and subsequent albums, but after two less than spectacularly successful albums, number three was, to all intents and purposes, crunch time. 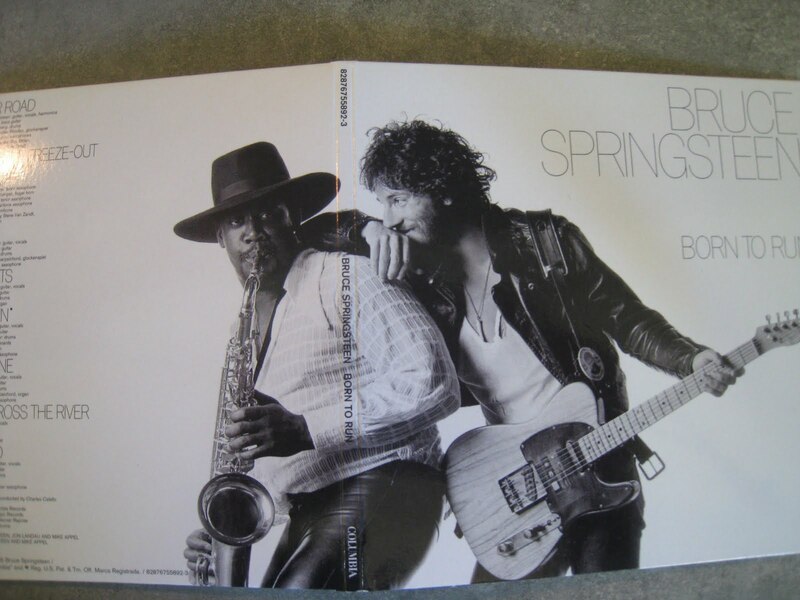 And when you look at the front cover of Born to Run, what do you see? A grinning Springsteen leaning against someone. Turn to the back and you'll spot that the someone is a largish Afro-American wearing a black hat and playing a sax. The word about Springsteen had been out for a while, largely based on his strengths as a live performer rather than the records, good though they might have been. There were a myriad of new Dylans out there, but there weren't too many that sparked off huge ex-college footballers homking on a tenor sax, were there? Anyone who's seen the video footage that turned up on the box sets that celebrated the 30th anniversaries of Born to Run and Darkness on the Edge of Town will be all too aware of Clemons' importance as the man mountain visual counterpoint to the energetic front man. As Springsteen hopped and bopped Clarence anchored the visuals on stage right the same way Garry Tallent's bass anchored the music. The Springsteen phenomenon was built on the strength of the live performances between Born to Run and Darkness, fuelled by the recording standoff as Springsteen sorted out his issues with former manager Mike Appel. No new record? Well, play the songs anyway. Need to get the word out? Well there are these FM stations that'll broadcast the sold out shows from medium sized venues like San Francisco's Winterland. Bootleggers, roll those tapes! But if you're not familiar with the man, his stature and his contribution to post-seventies rock, I'd point you right here and rest my case. Born in Norfolk, Virginia on 11 January 1942, Clemons suffered a massive stroke at his Florida home on June 12 and despite hospitalization and subsequent brain surgery, departed this life on 18 June 2011.